Dave Chappelle is a comedian, actor, and producer who’s brash, clever, in-your-face brand of humor has made him one of the most respected entertainers of his generation. 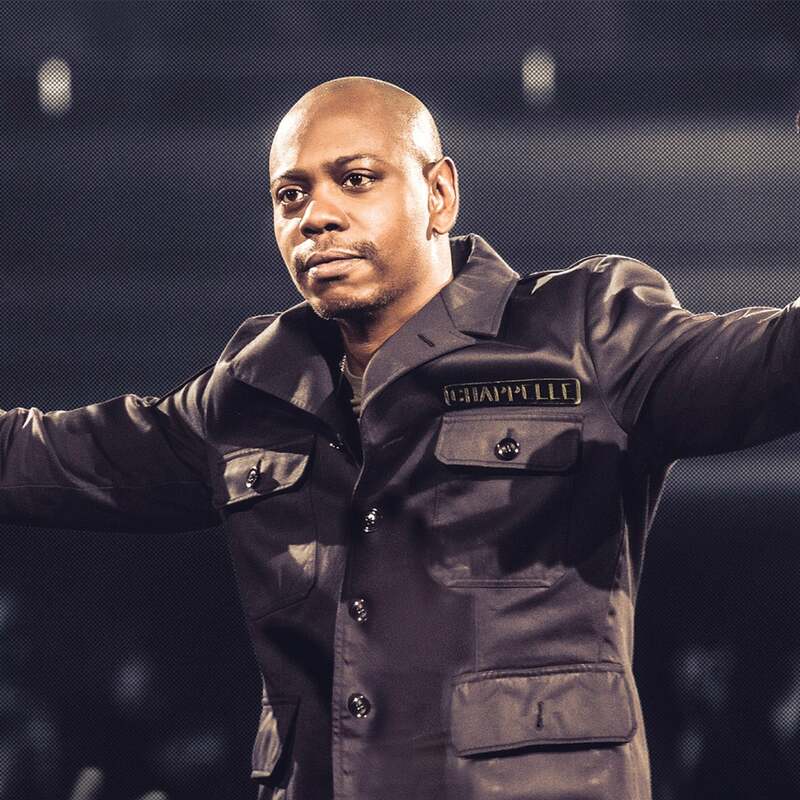 In 2017, Chappelle celebrated 30 years in comedy by releasing four highly anticipated stand-up specials on Netflix along with a companion double-feature vinyl comedy album. He’s since netted two television Emmy Awards, a Grammy, and Pollstar’s Comedy Tour of The Year Award. In October 2018, he made a remarkable appearance in the much-anticipated remake of the film A Star Is Born. Best known for his groundbreaking television sketch comedy program Chappelle’s Show, Chappelle has since established himself as arguably one of the most touring comics on the U.S. circuit – selling out shows within minutes of the announcements. Pilot Boy Productions, Inc. and/or Dave Chappelle own all rights in the content and materials delivered during his performance (the “Materials”). Any use of the Materials without the express prior written consent of Pilot Boy Productions, Inc. is strictly prohibited and is punishable to the full extent of the law.